Happy Mother’s Day to your mom Bongo! Woooooowooooooooo! Thanks Ku. Happy Mother’s Day to your mom too. My younger person took my person (mom) out to lunch for Mother’s Day but for some reason they wouldn’t let me join in on the celebration. Thanks Little Binky. Happy Mom’s Day to you and your granny too. Thanks Marina – and happy Mom’s Day to you too. Phew! *wipingsweatonforehead* I’m glad that finally Thomas sees Jesus! I agree Kevin. I don’t know what Thomas would have done if he missed Jesus totally. By the way, tradition says that Thomas went to India and started a church there, and the church he started still exists in one area of India. 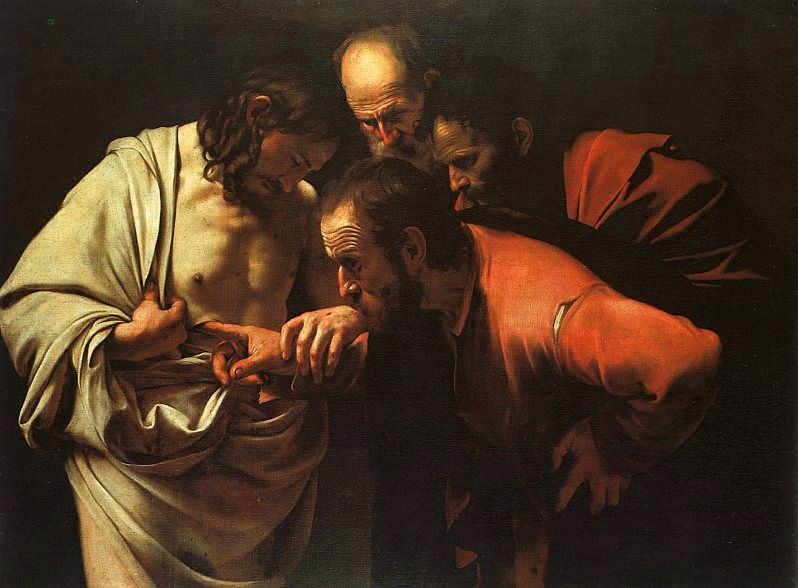 Bet he was no longer a doubting Thomas…..
Hmmm. I wonder why everyone still calls him that?